As the Roman Empire aged, it didn't do so gracefully. Corruption ate away at the noble core, Rome, itself. As powerful individuals vied for even more power, they would get together gangs to take to the streets. Those gangs would do whatever they could in order to see their benefactor make it to the vaunted Senate. 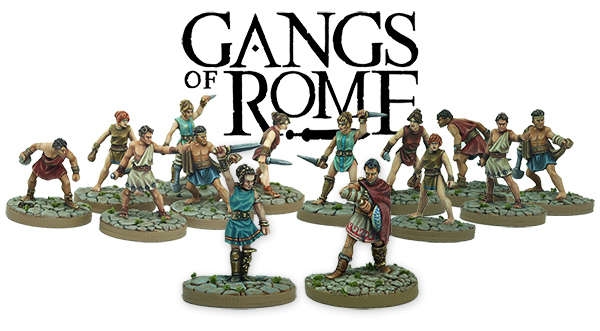 Now you can recreate those times with Gangs of War, a new miniatures skirmish game available now from Warlord Games. Want to try it before you buy it? They've got a free rules download available.